Florida West coast Woodworkers Club monthly meetings and demonstrations. Meetings and demonstrations are held at our Sarasota facility Hardwood Showroom on the 2nd Wednesday of each month from 7:00 pm to 9:00 pm the public is welcome. This event was cancelled due to the effects of hurricane Irma. 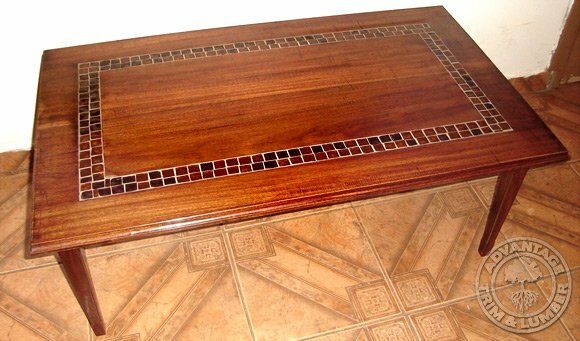 This entry was posted in and tagged Woodworkers, Woodworking on September 13, 2017 by Mr. Ipe Hardwood. Whether you’re a contractor building a large-scale deck or an artist perfecting a turned pen, we’ll not only supply the lumber you need, we’ll also help make your project a success with our extensive woodworking knowledge. When you’re done, show off your hard work by sending us pictures! One of our customers has done just that. Séamus, a self-taught woodworker, recently finished three gorgeous furniture pieces using our line of exotic and domestic lumber. Check out his photos below and be inspired. 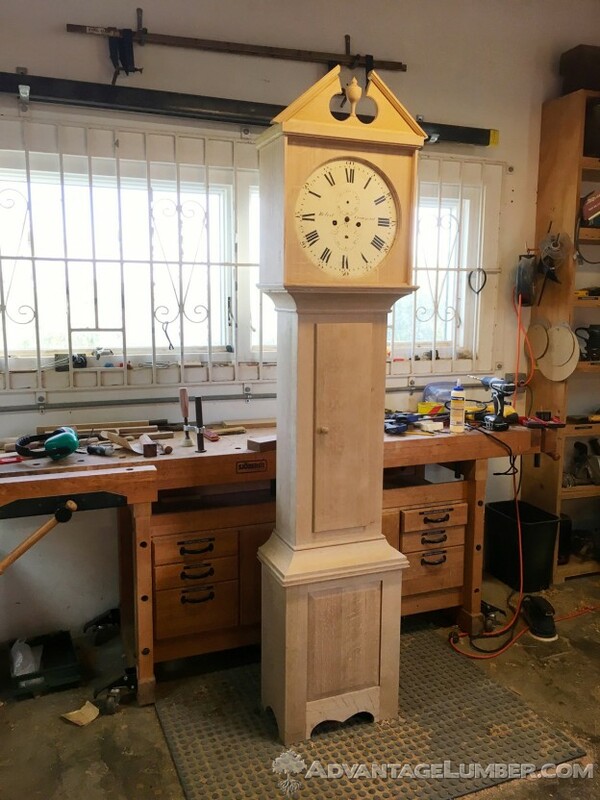 This entry was posted in Domestic Hardwood, Exotic Hardwood, Wood and tagged exotic hardwood, grandfather clock, restoration, woodturning, Woodworking on March 14, 2017 by Mr. Ipe Hardwood. One of our customers created this beautiful hardwood table made of Cumaru. Maybe it’s because I’m still infused with the holiday spirit, but I really feel that woodworking is a one-of-a-kind tradition that will never go away. Just look through our Hardwood Lumber 101 series and you’ll see that from religious manuscripts to stone age doors, hardwoods have been a critical part of the building of our world, not just its structures. Skeptical that working with hardwood is a truly rewarding experience? Just ask the thousands of woodworkers around the country who create stunning pieces like walking canes, music boxes, humidors, and other fine items. Look online at sites like etsy.com and you’ll see some truly wonderful things being made with one of nature’s most precious gifts. Speaking of gifts, just this past weekend, those same woodworkers gave handmade gifts to family members, friends, and loved ones made of real solid hardwood. These hand-made gifts create a special bond between people. Whether you made a piece of furniture, or a carving board, a gift made by your own hands is something that is easy to cherish and remember. That type of connection isn’t possible when you give a phone, or some other device. Many of these items become family heirlooms passed down through generations. When you think about it, there really is something to be said for the time, dedication, and work of art produced by woodworkers. So, what’s the point of all of this? This year, instead of thinking about starting a hobby that is going to stimulate your mind, and soul, give woodworking a try. Many of our customers are both first time woodworkers who send us pictures of the things they’ve made with our hardwoods. Imagine for a second the elation you’ll feel making your son’s very first baseball bat out of ash wood, or a bubinga wood jewelry box for your daughter. Do you think they’ll look at that bat, or that jewelry box and think it’s “just another thing”? Not a chance. If you’ve created anything with the hardwood you’ve purchased from Advantage Trim & Lumber and want to show it off, let us know. We’d be happy to showcase your work, your story, your gift to others who are also aspiring woodworkers. If you’re just getting started and need some direction, give us a call. We’d be happy to sell you the world’s finest species of hardwood lumber. This entry was posted in Hardwood Lumber 101 and tagged Hardwood Lumber, Woodworking on December 27, 2010 by Mr. Ipe Hardwood.